Ceramic Tabletop Konro set for use with binchotan charcoal. Features brown glazed exterior, clay charcoal holding insert, screen and wooden base. Caution! Please do not burn charcoal indoors. All types burning charcoal will produce Carbon Monoxide. Carbon monoxide poisoning through this oderless and colorless gas can cause brain damage and death. 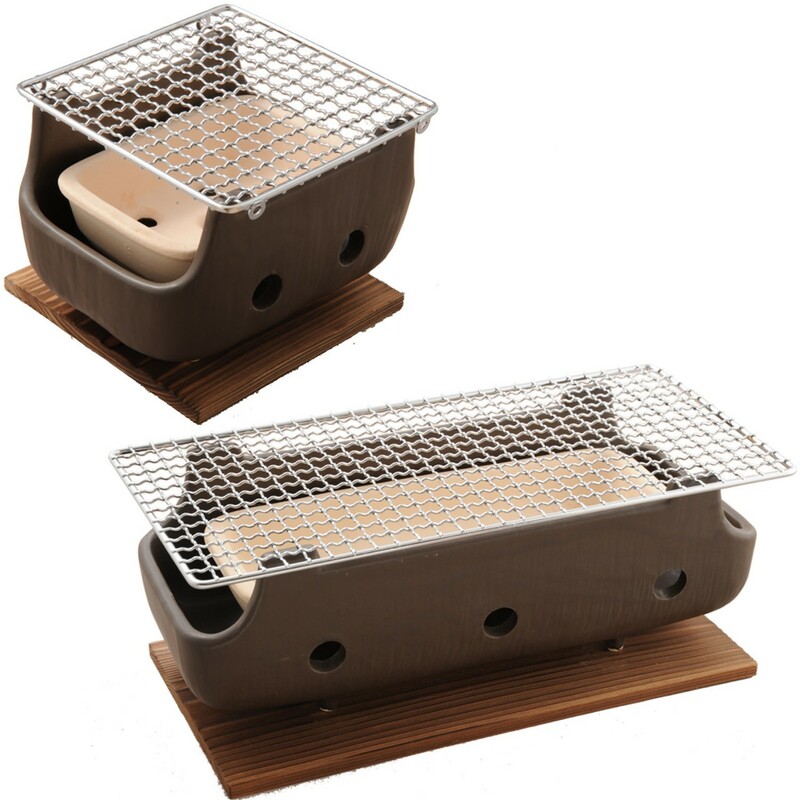 Click the button below to add the Brown Rect Charcoal BBQ Konro made in Japan to your wish list.